Sala’s camp has the good fortune to be located on the convergence of two rivers, and in the heart of the Masai Mara. This secluded spot, offers tranquillity, and tremendous views over the Sand River towards Tanzania and the Serengeti. From your tents you will be able to enjoy an abundance of birdlife and wildlife and the indigenous environment. 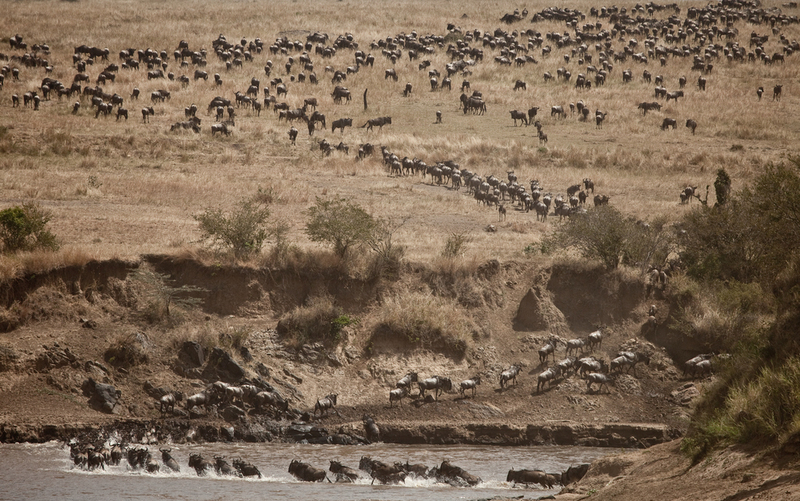 The Masai Mara is world renowned for the Great Wildebeest migration, as well as large numbers of predators, and plains game on the open savannah. The main activity in the Masai Mara is game drives, which take place early in the morning and late in the afternoon when the predators are most active.